The Spice Mi-410 sports a 4.1 inch capacitive touchscreen display with 480×800 pixels screen resolution and is powered by 1GHz Qualcomm Snapdragon processor and runs on Android 2.2 Froyo OS. 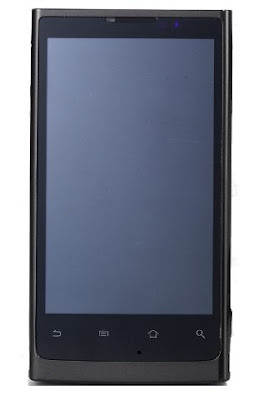 The Spice Mi 410 comes with a 5MP rear camera for high quality video playback/recording with CMOS sensor to capture better pictures in low-light conditions and a front side VGA camera for video calling, 3G device, Stereo FM Radio, 3.5 mm jack, 512MB RAM + 2GB Internal Memory, and external memory expandable upto 32GB. The Spice Mi410 supports GPS, GPRS class 12, EDGE, 3G HSDPA, Wi-Fi 802.11 b/g, Bluetooth v3.0 and USB v2.0. The 1400 mAh battery ensure 4 hours talk time at 2G and 2.30 hrs talk time at 3G mode. 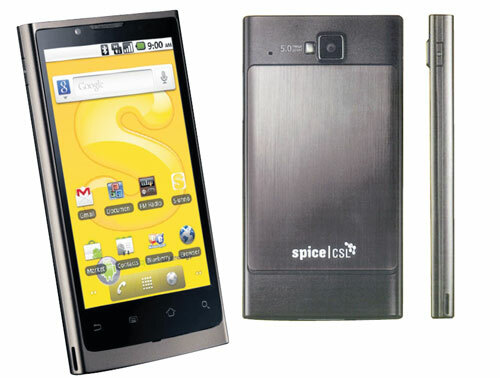 The Spice Mi-410 Android Phone is priced Rs. 13,999 in India and is available now in India. Tags:Spice Mi-410, Spice Mi-410 features, Spice Mi-410 specifications, Spice Mi-410 review, Spice Mi-410 details, Spice Mi-410 availability, smart phone, Spice Mi-410 specs, Spice Mi-410 images, Spice Mi-410 pics, Spice Mi-410 pictures, Spice mobiles India, Android 2.2 Froyo.